To give your Big! Huge! Dinosaur a unique appearance, use balloon painting! This cool technique keeps little fingers clean while generating a fun painting experience. R75424 Big! Huge! 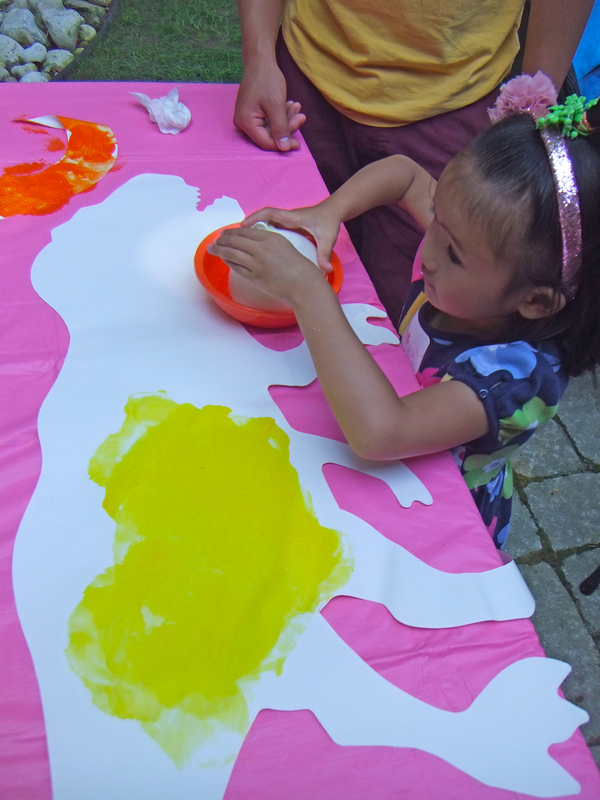 Dinosaurs are perfect for large scale fingerpainting projects. The sheet itself reaches roughly 3 feet in length, but you don’t need a whole lot of paint to cover it up! Fingerpaints spread evenly across the special paper material, especially when children are eager to fill in all the blank parts of the canvas. Designing the dinosaur’s skin is the best part. What colors will you choose? And what kinds of patterns will you organize the colors in? 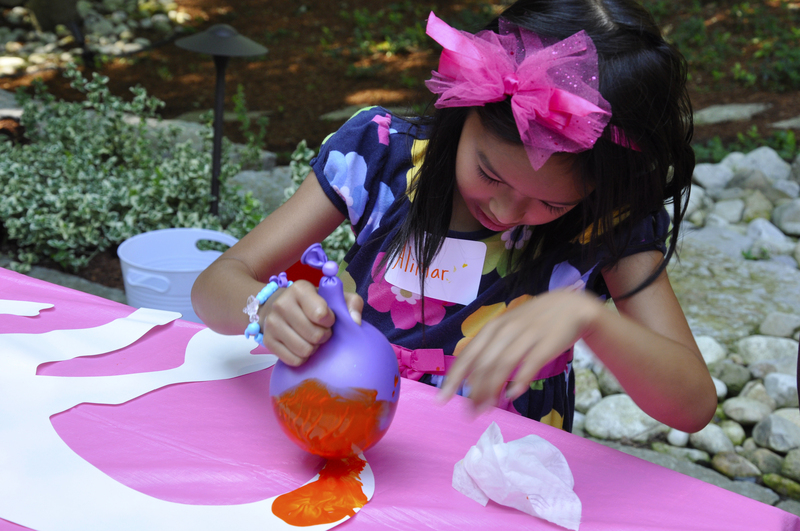 To help simplify this process, we asked our little artists to use balloons! 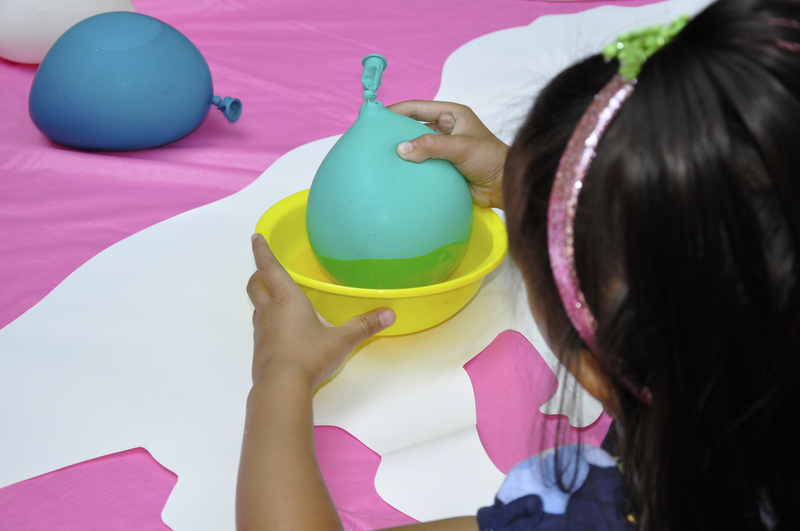 Dip the balloon in paint. And stamp all over the dinosaur canvas! 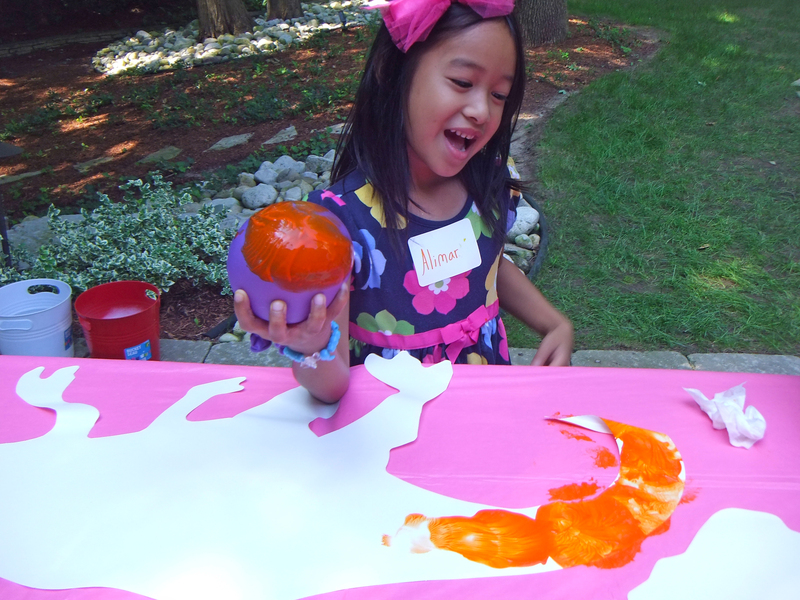 Our campers loved being able to make their own impressions with the balloons! Some of the balloons were used just like paintbrushes. 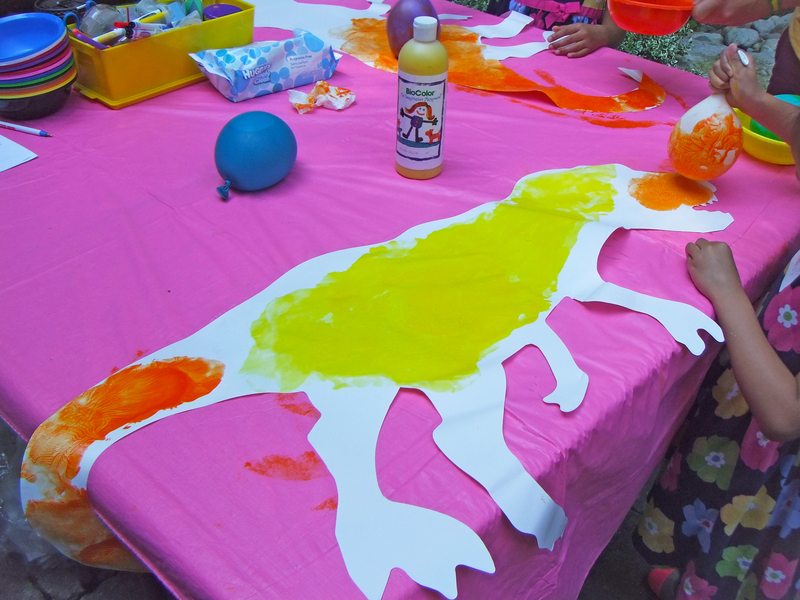 The paint was spread evenly across the surface of the dinosaur. Why were balloons important to use? Well, the rubber of the balloon expands and contracts when it’s applied against another surface. This helped to create a splotchy, ripply effect on the dinosaur paper, making it look like the dinosaur’s skin! 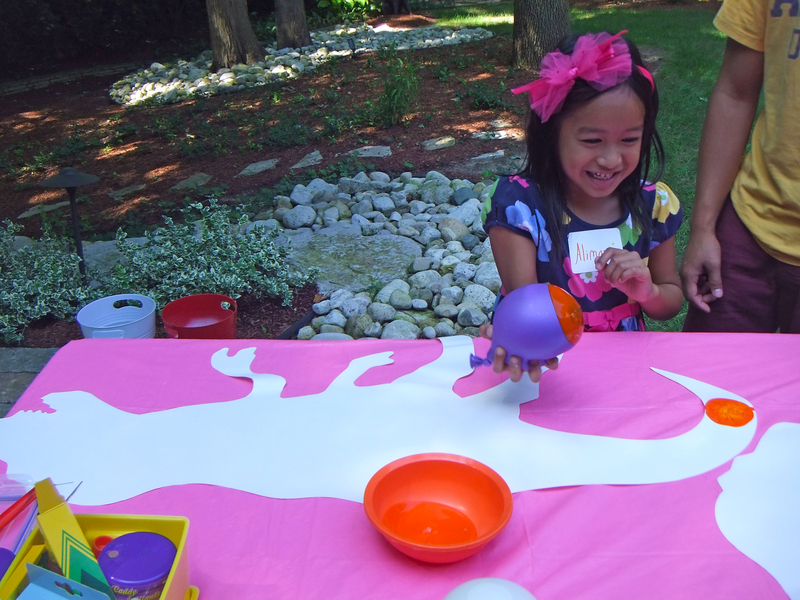 Although some students may feel overwhelmed by the largeness of the dinosaur canvas, the dinosaurs are perfect for group painting activities. 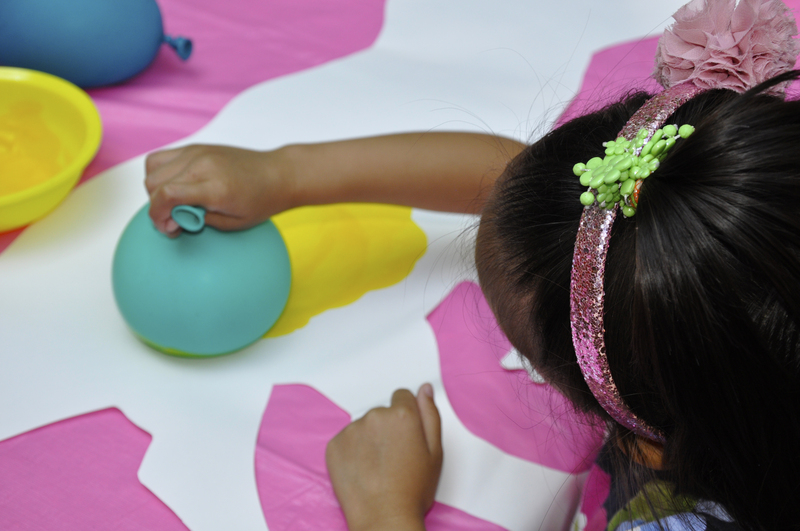 Combine groups of students together to develop fine motor skills while creating a work of art! We have great project ideas available at the PDF guide, which you can access here! Thanks for viewing this post! Like us and subscribe to our blog today for updates every Monday, Wednesday and Friday! Send a line through our contact form and link with us today to get you started on your own crafting journey. This entry was posted in Art, Big Ideas, old and tagged art, balloon, craft, dinosaur, painting, painting techniques, summer by roylcoblog. Bookmark the permalink. Thank you so much!! I can’t wait to share more painting techniques soon. 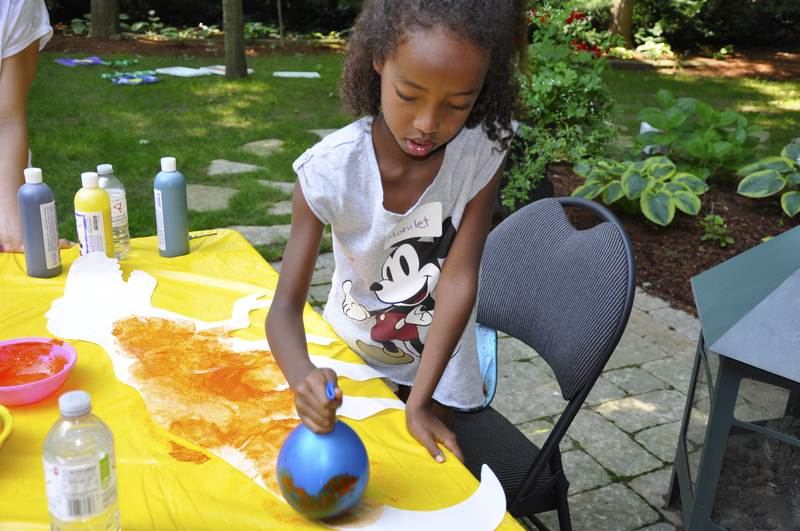 We have a new art camp event happening this year, so stick around for some more great ideas!